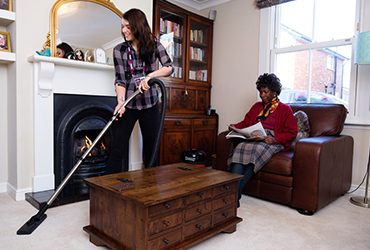 Our home help services for older people include help taking out the bins, dusting, hoovering, decluttering, feeding the cat and even washing and ironing. It covers all aspects of housekeeping to help you to live well in your home environment so that it remains clean, tidy and safe. 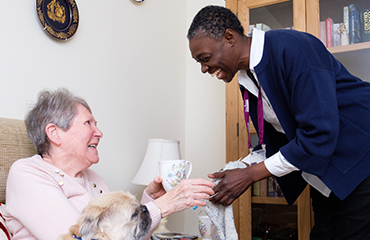 Because our CAREGivers are matched to you, they will take time to get to know how you like to keep your house and make it a happy place for you to live. This will free up valuable time and energy, so you can focus on doing the things you want to do and enjoy. Need some extra help at home? Contact us to find out more and we will be happy to help or book a free consultation to see how we can tailor our services to your needs. Some care options are often perceived as expensive, but that doesn’t mean that all of them are. On this page, care home costs are compared with home care costs. When people think of ‘care’ many automatically think of a care home, or residential home. This is not the only option as quality care can also be delivered at home.